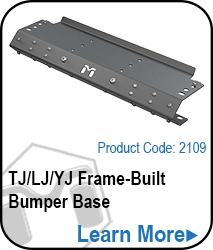 The Lo-Mount Stinger for the TJ/LJ/YJ Frame-Built bumper provides the rugged protection you need with strong lines and a rock-crawler's confidence. When you are ready to play the MetalCloak Stinger is ready for you. 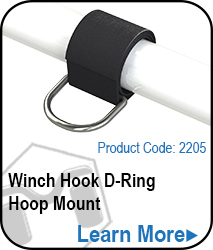 Note: All TJ/LJ/YJ Hoops come with weld on shackles. 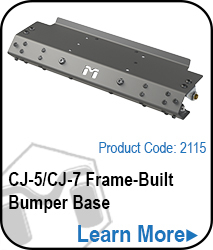 Part of the Frame-Built Bumper System for Jeep TJ, YJ & LJ Wranglers, the Stinger is a strong statement for an awesome rig. Ruggedly strong it has proven, trail-stopping power.